The Channel Bowl is the evolution of an everyday bowl for better scooping, sipping and gripping. An elegant interior channel gives the meal a natural gathering place as a user eats. When paired with the nesting spoon, the Channel Bowl reduces the amount of scooping needed to finish a meal, eliminates bowl tilting and allows the user to easily scoop with one hand. The exterior has dimples sized for fingertips. 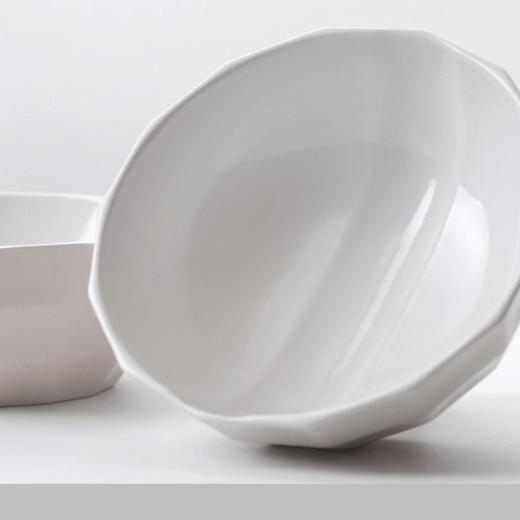 This creates a refined yet tactile exterior and a secure grip when pouring and lifting the bowl. The Channel Bowl improves meal times for a wide-range of users, including parents, children and people with disabilities.